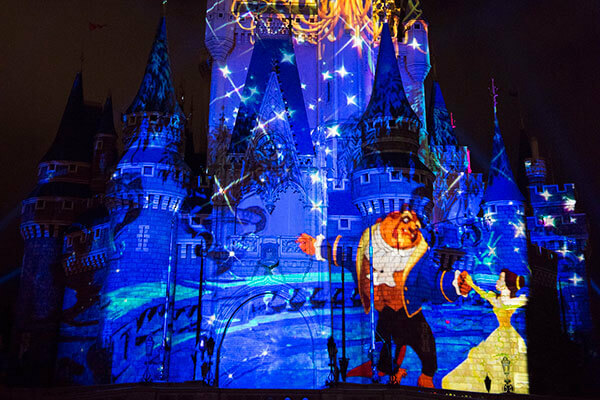 On November 4th Magic Kingdom saw the debut of its new castle projection show ‘Once Upon A Time’. The park has previously been the host to two other castle projection shows ‘Magic, Memories and You‘ and ‘Celebrate the Magic‘. Now in the year of no nighttime parade entertaining guests in the evening Disney has decided a new more high-tech version of the castle projection show was needed. The show ‘Once Upon A Time’ is inspired from the Tokyo Disneyland Park show with the same name and features classic tales such as Cinderella and Peter Pan in projection mapping technology that covers every nook and cranny of Cinderella Castle. Beauty and the Beast’s Mrs Potts is the narrator of the show as she takes us on a magical trip through the tales of the Disney universe. The ‘Once Upon A Time’ show is performed every night on Cinderella Castle. Check your daily Times Guide for exact times. Universal Studios Hollywood celebrates the Holidays with Grinchmas, Hot Butterbeer, and more! VIDEO: Lin-Manuel Miranda sings in a new clip and featurette from Disney’s ‘Moana’! Older Older post: Universal Studios Hollywood celebrates the Holidays with Grinchmas, Hot Butterbeer, and more!